Clothing/Jewelry Description Red and blue coveralls, a pajama top and cowboy boots. Medical Conditions Richard had hip braces on both legs to correct a bowlegged condition; the braces were removed six months prior to his disappearance. Distinguishing Characteristics Caucasian male. Brown hair, hazel eyes. Richard has a hairline scar over his left eye and a mark below that eye. His nickname is Ricky. Some agencies list Richard's eye color as brown. 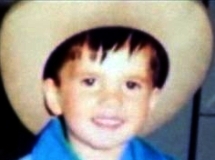 Richard's grandparents, Waldo and Martha McChoard, were suspects in his disappearance for almost two decades afterward. Martha reportedly acted oddly and although she took a polygraph exam, the results were inconclusive. She and her husband disliked Richard's mother and had wanted someone else to raise him, and it was theorized the child's grandparents secretly placed him in an underground adoption ring. Martha took another polygraph in May 2001, passed, and was cleared of an involvement in her grandson's case. Waldo also agreed to take a polygraph, but he died before the exam could take place. 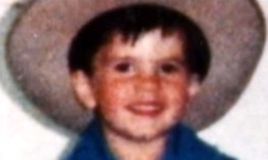 Another theory is that one of the temporary workers at the farm was involved in Richard's disappearance, but police could find no evidence to implicate any of them. Updated 7 times since October 12, 2004. Last updated July 2, 2015; details of disappearance updated.